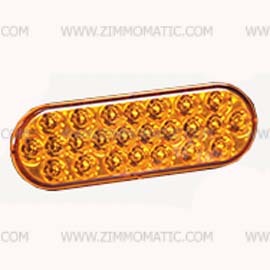 This super-bright strobe light is filled with 24 LEDs behinds its amber lens and boasts up to 203 flashes per minute, either a synchronized pattern or a random one according to your preference. It comes complete with a rubber grommet and a 3 prong plug pigtail. 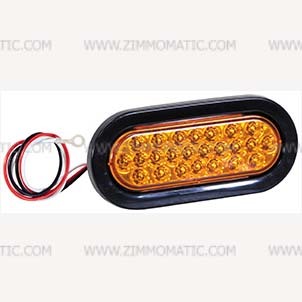 This 24 LED strobe, 2 x 6 amber oval, LED light is a self-contained unit and requires no outside control unit. Its manufacturer rates this light for up to 100,000 hours of working life, giving you an equivalent of approximately 11½ years of non-stop service. It offers the option of either synchronized flash or random flash patterns with up to 203 flashes per minute. This light comes as a complete kit, including a rubber grommet as well as a 3 plug pigtail. Simply purchase this kit and install it with ease like you never knew before. The strobe comes with directions to add to the simplicity of your installation. 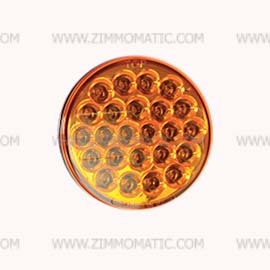 We stock a round 4 inch strobe in amber as well, BPSL40AR.